Life runs on a fast forward mode these days. Infact the 3X fast mode. Gone are the days when women just had to cook and take care of the house. Now we also have careers in various fields and are running behind our dreams. Time becomes very essential and we need to quickly cook healthy food, pack for the lunch and move on with our work. 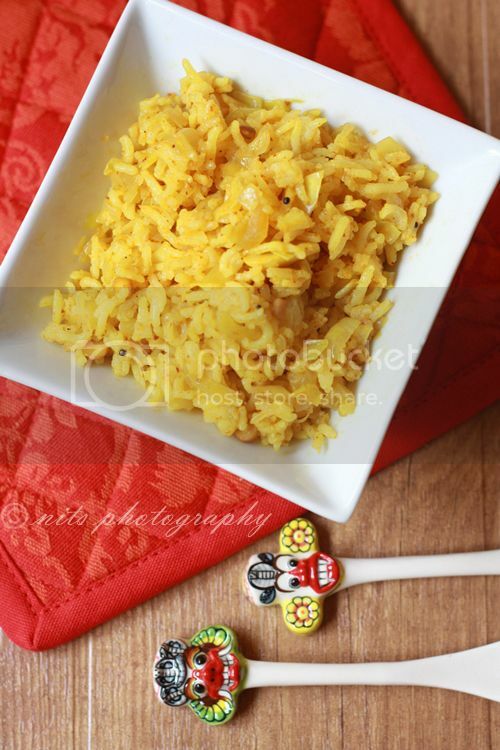 I have been making more of lunch box rice recipes these days to quickly get done with the kitchen chores and get going with work. 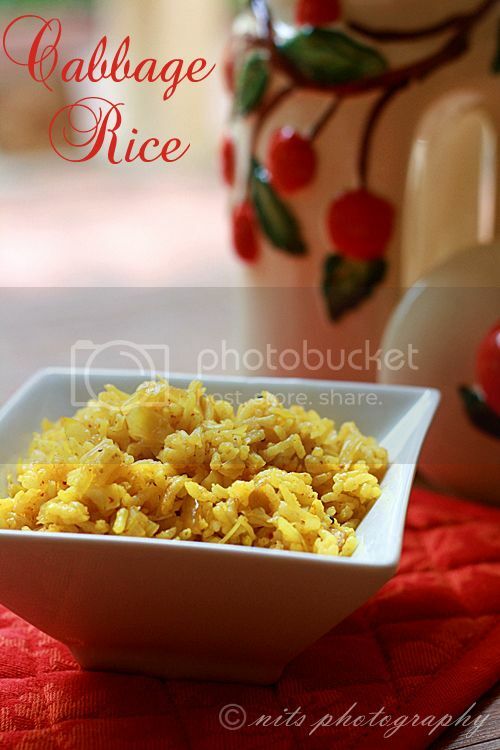 Here is one such simple version of cabbage rice that will require just 10 mins and no pre-preparation time. Chop onion and cabbage finely. Wash and cook rice with 2 cups of water. Once cooked, add a tsp of oil and separate the grains and keep it aside. Take a tsp of oil in a pan and crackle mustard seeds, urad dhall and channa dhall. Fry for a min and add ginger garlic paste and saute for 2 mins. Then add chopped onion and cabbage to it. Sprinkle just enough water to cook the cabbage and close with a lid and allow it to get cooked for 5 mins. Now add chilly powder, garam masala, turmeric powder and salt and saute for 2 mins until the flavors get infused into the vegetables. Finally add cooked rice and mix well. Test for salt and add more if required. Nice box idea & the rice looks healthy. I love those cute spoons. good idea for a quick meal or to use up leftover rice. 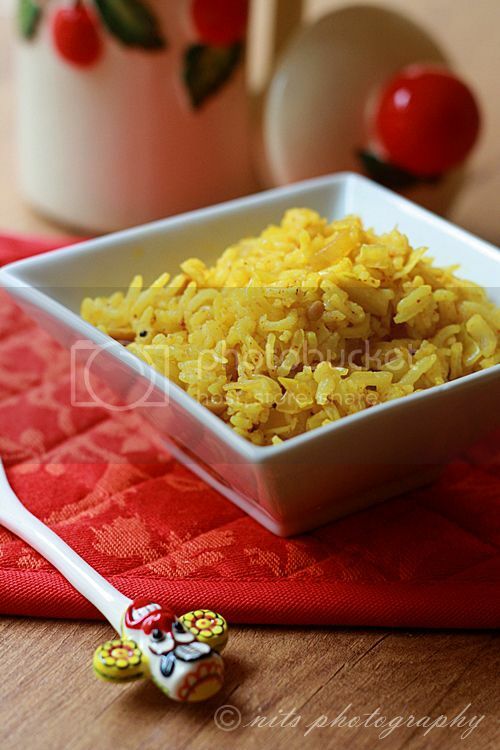 Flavourful rice, quick and delicious. nice lunch box recipe ! those spoons are cutest eva ! 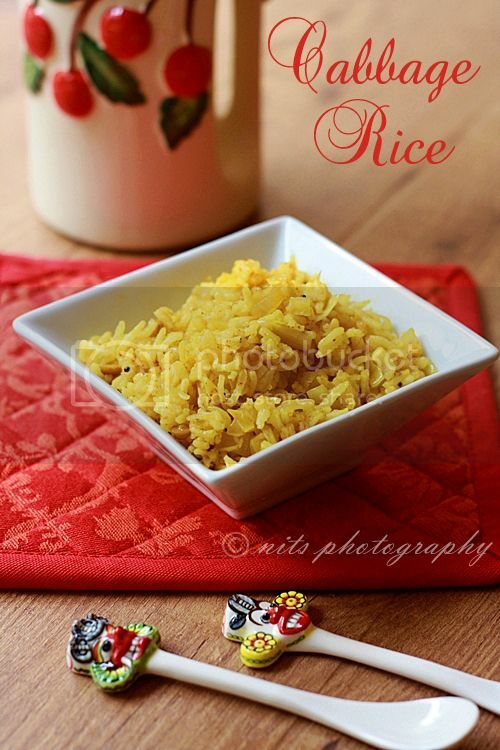 Hi Nithya, Rice with cabbage is a very innovative craetion which is esay to prepare as well. Looks absolutely tempting and delicious !! 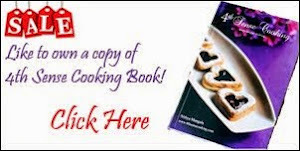 Nice recipe, I will definitely try it for lunch box, keep updating more about indian recipes.